San Pedro, Ambergris Caye has been nicknamed ‘La Isla Bonita’ ever since the 1980’s release of Madonna’s hit song, “La Isla Bonita”. Whether or not the song speaks of the island, it certainly has some familiarity. 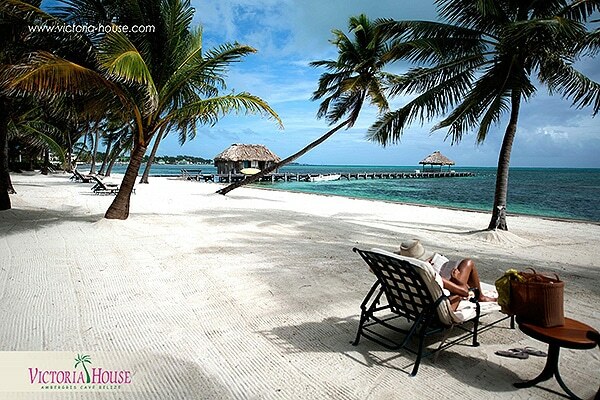 San Pedro, Ambergris Caye is located in Central America the Latin vibe on this island can certainly be felt. San Pedro is a peaceful island where the friendliness and welcoming spirit of the locals can be seen at every stop. After living in a large city where life seems to always be going just a tad too fast…it takes some time to get use to the tranquility of island life. The first few lines of Madonna’s song describe San Pedro at its core: “Tropical the island breeze, All of nature wild and free”. Life on San Pedro, Ambergris Caye is simple and free. Nothing can compare to walking on the beach barefoot and feeling the tropical breeze, whilst viewing the calm Caribbean Sea. Everyone longs for peace. La Isla Bonita: A tropical vacation where we can simply capture the essence of life without the fast pace of our now technological advance world. Rekindling love and romance is natural. Falling in love is easy. The ambiance lets you focus on creating new adventures and romantic memories to last a lifetime.